Baskets of black ash and sweetgrass, made by Valerie, Megan and Emily. 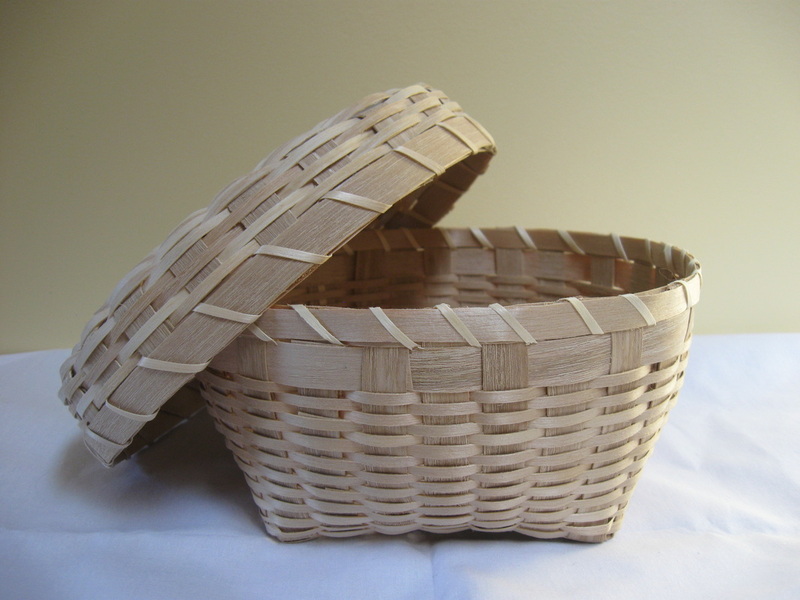 From a long family line of basket makers, the 3 family members proudly carry on their ancestors tradition of making baskets. Memories and stories of the family's basket-making and the gathering of black ash logs for splint, are cherished family history. 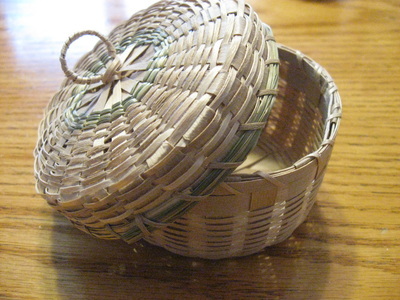 Oral and written history has been handed down from relatives, including Valerie's grandmother and father, as well as other elders in the community. Basket making is a part of the rich culture and history of the Abenaki, with traditional basket-making an important part of their community and families. 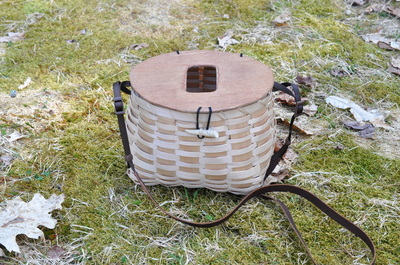 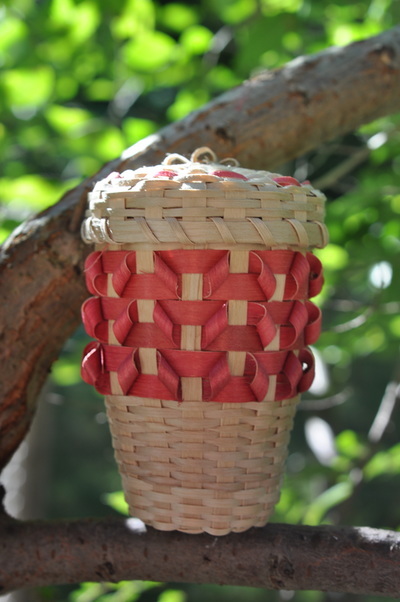 Valerie, Megan and Emily have completed an apprenticeship with master Abenaki basketmaker Jeanne Brink and have given a number of basket making demonstrations. 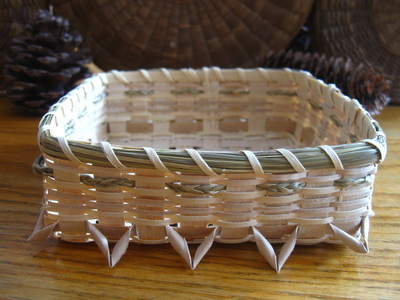 Basket-making skills are handed down person to person, helping to preserve and keep alive this important heritage. 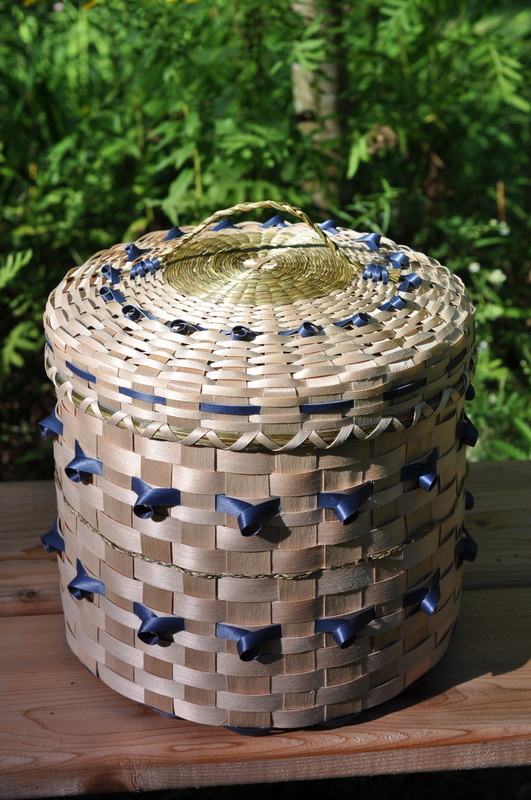 These woven baskets are made with wild gathered sweetgrass and from black ash splint. Various baskets for sale- depending on what is currently in stock.